El 3 de julio se comunicó a los Miembros de la OMC que el apoyo a los proyectos destinados a ayudar a que los países pobres aumenten su participación en el comercio mundial sigue siendo firme, y que los países de bajos ingresos reciben la mayor cantidad de apoyo per cápita. La actualización más reciente se presentó en la Reunión sobre la Ayuda para el Comercio del Comité de Comercio y Desarrollo. Frans Lammersen, Principal Administrator for the Organisation for Economic Cooperation and Development’s Co-operation Directorate, said that USD 342 billion in aid for trade support has been disbursed since the start of the initiative in 2006. Sectors receiving the most support were transport and storage (USD 95 billion), energy generation and supply (USD 75 billion) and agriculture, fisheries and forestry (USD 71 billion). Aggregate aid commitments reached a peak of around USD 55 billion in 2015 before slipping slightly to USD 51 billion in 2016. This was still well above the long term average, with support for trade-related infrastructure and productive capacity registering strong growth since the early 2000s, Mr Lammersen noted. In absolute terms Asia and Africa are the largest aid for trade recipients. Most of this support took the form of loans rather than grants. Mr Lammersen noted that overall, most financing for development is increasingly through private market finance, with upper middle income countries the biggest recipients. Low income and lower middle income countries were the biggest aid for trade recipients on a per-capita basis, Mr Lammersen said. However, support for least developed countries is increasingly taking the form of loans rather than grants. This has raised concerns about debt sustainability for recipients. In regards to official development assistance (ODA), the share of aid for trade in sector allocable ODA continues to steadily increase and now accounts for nearly 40 per cent of the total, Mr Lammersen added. His presentation is available here. The WTO-led Aid for Trade initiative encourages developing country governments and donors to recognize the role that trade can play in development. In particular, the initiative seeks to mobilize resources to address the trade-related constraints identified by developing and least-developed countries. The chair of the Committee on Trade and Development, Ambassador Diego Aulestia of Ecuador, noted that the theme of the current Aid for Trade work programme is “Supporting Economic Diversification and Empowerment for Inclusive, Sustainable Development through Aid for Trade”. 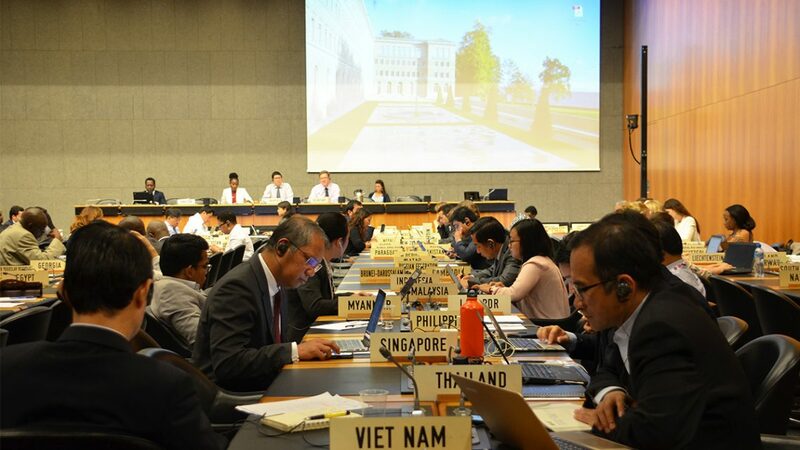 WTO members have a substantive and detailed set of activities and outcomes to deliver, including the organization of workshops, delivering the next Global Review of Aid for Trade in mid-2019, and conducting a review of Aid-for-Trade achievements. South Africa, speaking for the African Group of WTO members, said the group was pleased members succeeded in improving the work programme, which will reflect as much as possible the priorities and constraints of developing members, in particular least developed countries. The group also stressed the importance of the regional dimension of the planned work. Multilateral development banks, namely the Asian Development Bank, the Islamic Development Bank, and the World Bank, updated the meeting on their on-going support related to trade. Presentations were also made by United Nations Industrial Development Organization the Enhanced Integrated Framework, and the International Trade Centre on their aid for trade-related activities, while the WTO Secretariat reported on the activities of the Standards and Trade Development Facility.